Bestseller Deal, Ashes Theatricals, 40 Nights/Casting Updates…. Another beautiful Michigan Saturday seems a great way to top off a productive week. The last couple days have been much cooler (Good for grilling/smoker) and brings to mind thoughts of fall football. Go MSU. Go Lions. That said, I will try to recap some of the past week updates. “Bestseller” – we are in talks on some other theatrical locations but more importantly we signed a domestic US/Canada deal. These are the deals that get the film to your Wal-Mart brick and mortar retailers and to your Netflix and VOD rental sites. The movie will also be available through Mr. Chris Knight’s (Johnathan Rands) Michigan Chiller Thriller store. We will be looking at a few sales to foreign territories also as we more forward. “40 Nights” has been a wonderful experience. We released our 1st official trailer which was exciting. Just to give people a first look and from all the feedback it has been well received. I know everyone worked very hard in the desert of Yuma, AZ to make that film happen. I’ve had communications of support start to come in from all over the world. I’ll say again, the film is so much more – versus what you see in the trailer. The talent involved on both sides of the camera really brought it and it shows. I was reviewing our most recent cut of the film which had also been sent to our distributor. I was waiting to see what they had thought about the naked film. (No music/sound) They had loved the trailer and so now we had to see if they also…AH! satisfaction! They loved it. I’m excited by the growing buzz over the film. Having multiple watches of the film under me I can say, I’m very happy with our translation from script to the big screen. I was so inspired by the responses that my writing on our follow-up biblical film (“Chasing the Star”) is close to having a first draft. We are working some FX/credits and this week we plan to finalize the edit. From there it move to full music and sound design. Other business surrounding this film is moving right ahead – like licensing. This is now moving forward with a deal- our distributor will manage these licensing rights. 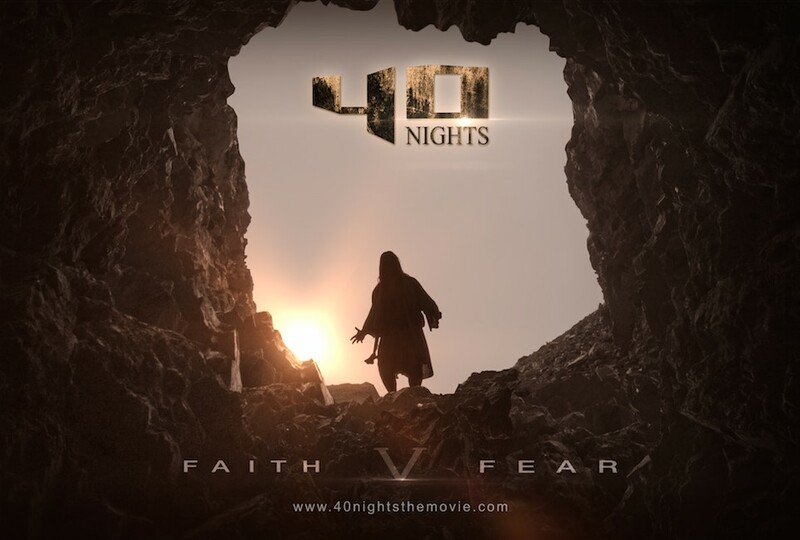 What would you like to see with 40 Nights branding? T-Shirt? Lunch Box? I can see this on a coffee cup. So, I let you blog faithful in on my writing progress with my new “Chasing the Star” script. I will say that we’ve also been working development on a western film. First step – the schedule and budget, both are almost done. We’ve also done some location scouting. We’re getting ready to launch a few new CDI film projects and I’m ready. Are you? “Donors” is working DVD artwork with the new distributor for the national release. I’m still waiting to hear something on “Dead Quiet” as I know the haunting season is approaching. We are also finishing up a CDI Commercial project for use in Washington DC. We do take on select commercial projects so feel free to reach out if you have a budget and want professional work. I also want to welcome CDI Associated directors Anthony Hornus (Standing Post/Outside the Wire) and Tom Norton (7 Stones) for recently joining the ranks of Jeff Kennedy (Figure in the Forest) and Kevin Hershberger (Wicked Spring) on the Parables Network. This week I had some great in-depth conversations with several business associates. I love that many of the talks I have are also framed by discussions of life. The journey has to have meaning and the business needs to evolve. This week was a mix of highly focused computer work on the hot humid days and a smooth mix of yard work and business talks on the fall-like cool days. As I work all this business I have started to look ahead to characters and roles. Some projects are finishing and so new ones must begin. I hope each of you are enjoying your summer. I hope you are spending time with some loved ones.